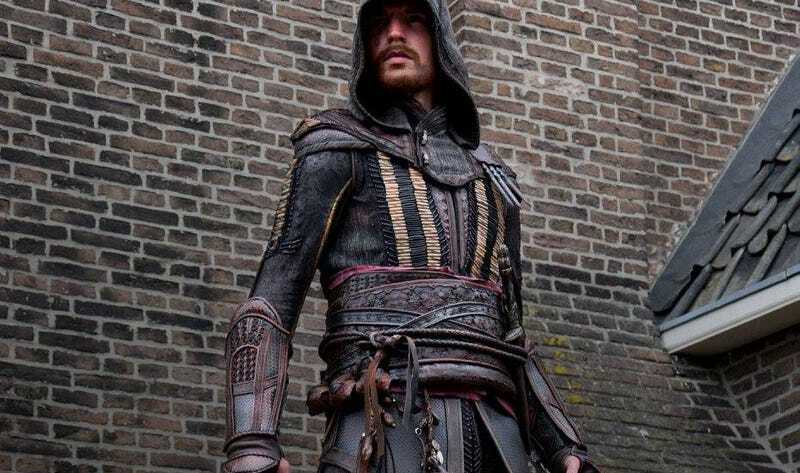 The movie isn’t even out yet, but that’s not stopping master Assassin’s Creed cosplayer Rick Boer from taking a swing at Aguilar’s (aka Michael Fassbender) outfit. Interestingly, he says that while the overall design is very similar to Altair’s original robes from the games, the film’s costume is a lot more detailed (beads, little flourishes, etc) which blew out the time it took him to put everything together. Note that while this project began as a fan work, once Ubisoft saw how well it had all come together they hired him to do some promo work for the movie. Here’s what I mean about the detail. The hidden blades work, using a cute little string system that you’d barely notice if you were seeing the costume in the flesh. You can see more photos on Rick’s Facebook page.